ANDANTEX Ltd. is the UK subsidiary of Redex-Andantex, the French manufacturer of precision power transmission equipment. 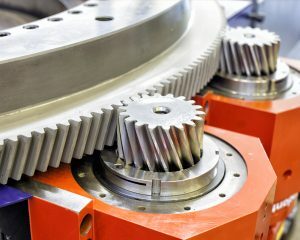 The group have been engaged in mechanical and electronic power transmission products for over 50 years, originating with the uniquely designed range of epicyclic reduction and differential gearboxes, with its patented method of equal load sharing of the sun and planet teeth. Today the Company has grown both in terms of product development, equipment and international reputation and the Andantex group now extends to plants in France, Italy, the USA, as well as here in the UK. In addition, there are agents and representatives in most free world countries. Focusing on providing customers with the best solution for precision rotary and linear power transmission equipment, both mechanical and electronic, the Company’s products and services are supplied to customers world-wide as well as the UK. 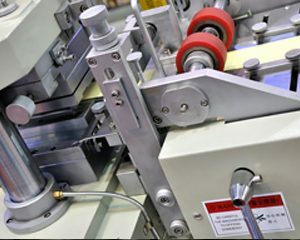 They operate successfully in a wide variety of industries including converting, printing, packaging, labelling, machine tool, aerospace, paper, food processing, nuclear, defence, glass, water, oil, leisure, agriculture, test facilities and all types of mechanical and electronic power transmission industries. Our products can be provided as individual parts or complete systems with full engineering consultancy as part of the service. The Andantex UK product range consists of the widest variety of industrial differentials in the world, as well as high precision servo-reducers, right angle bevel gearboxes, precision rack and pinion drives, mechanical and electronic speed control drives, linear actuators, ball screws, tension control clutches and brakes for electronic control of tension on rewind and unwind drives, plastic extruder gearboxes, inverter duty ac motors, dc motors and servomotors. This equipment, combined with technical expertise, offers machine design engineers a wide variety of solutions to mechanical and electronic power transmission problems.